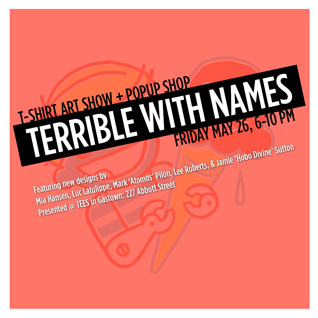 Exhibit and sale of graphic t-shirts created by the local artists. Dozens of original designs and colours for men, women and kids. Stay up-to-date on everything at Tees.ca. Subscribe to Mailing List to be notified about this event and some exciting promotions coming up!